We foster a culture in which all of our students are empowered to strive towards high achievement and success, both in the classroom and beyond. Our vision is that there is no limit to what our students can achieve. We encourage them to be ambitious, to set goals and to reach for their dreams. We help them step out of their comfort zone and take on new challenges. Our teaching is personalised to meet the specific needs of each student so that they can develop skills and talents at their own pace. 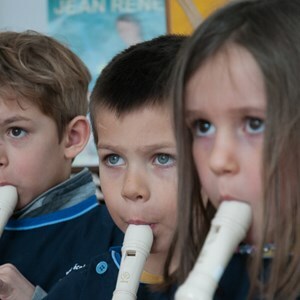 As a small private school in Nyon with a good staff-to-student ratio, we are able to offer our students excellent support on an individual basis. This means that our teaching staff get to know each child very well and understand their individual learning needs and preferences. Furthermore, our programme of extracurricular activities means that we can personalise your child’s private education even further. Our approach is designed to develop intellectual and social confidence in all children. This means that they will leave our school not just with excellent grades, but also with the social skills and know-how to progress in the world. Our students are encouraged to develop leadership and teamwork, respect and good manners, and a global conscience. They have the confidence not just to answer some of the world’s problems, but also to help define and shape the questions that we should be asking about our world.